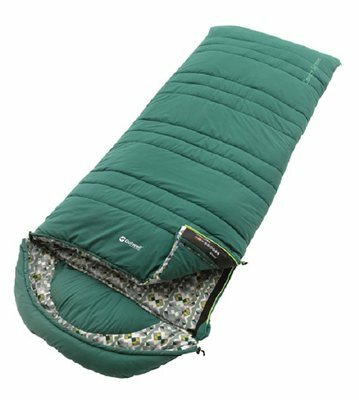 Camp anytime, anywhere with the Outwell Camper Supreme sleeping bag. Packed with even more filling than the Camper Lux, this sleeping bag will keep you warm throughout the year in even the most challenging conditions. Soft and cosy with an in-built pillow for extra comfort, the bag has a zip-on hood for chilly nights. You can zip two together to make a double or open it up to create a duvet. Can’t rate these on how they perform cause we haven’t used them yet, but they certainly look and feel very good.